The loss of my uterus during a back-street abortion procedure has inflamed me to call for the enactment of the draft Termination of Pregnancy Bill. LILONGWE, Malawi – There is a misconception that only poor women from rural areas suffer from consequences of unsafe abortions. I am the living testimony of women from urban areas who suffer from the aftermath of backstreet abortions. Despite living in Malawi capital, Lilongwe, I suffered from the consequences of unsafe abortion. It happened six years ago when I was breastfeeding my first child. Few months after delivery, I began using contraceptives. When my baby was just seven months old, I was shocked when the clinician told me I was pregnant again. “Impossible! It can’t be. How can I get pregnant when I am using contraceptives,” I argued. “Contraceptives sometimes fail. You are pregnant because of contraceptive failure,” he said. When I discussed the issue with my husband, we agreed to terminate the unplanned pregnancy. Sadly for us, the clinician we consulted at a health facility refused to offer us the service. “I do not want to jailed for inducing an abortion. What you are asking me is illegal,” said the clinician. “If we were in Zambia or South Africa, I would have given you just four tablets and you could have a very safe abortion but here in Malawi, it is illegal to do so,” the clinician said. After failing to convince him to assist us, my husband said we should visit a herbalist. From the health facility, we headed straight to the herbalist who gave me a herbal concoction to drink. Few hours after drinking it, I started bleeding. Bleeding accompanied by pain never stopped. Three days passed. The situation worsened and my husband decided to take me to the hospital. He simply told the doctor that I had a miscarriage after accidentally slipping on the door steps. It was while admitted to the hospital I realized that abortion was a huge problem. Almost a third of women who were admitted in the gynaecological ward had abortion complications. At the hospital everyone called it miscarriage complication. Stories of fellow women who had undergone dangerous procedures at herbalists made me realize that restrictive laws do not prevent abortions. When a woman decides to terminate unwanted pregnancy nothing can stop her. Malawi needs to liberalise its abortion laws because the only difference is that if hospitals can offer the services women will not be suffering from complications. If we stick to the current laws that criminalise abortion, women will continue flocking to herbalists, only to come back to the hospital with complications of unsafe abortions. During my time in the ward I noticed that women with unsafe abortions complications were actually from all religions. We were all there – the Catholics, Presbyterians, Muslims, Pentecostals and Evangelicals – seeking post-abortal treatment. The more I reflected on the issue of abortions as I waited for surgery, the more it dawned on me that restricting women’s access to safe and legal abortion only results in more injuries and deaths of women. I challenge anyone who doubts about the magnitude of unsafe abortions in Malawi to walk into any gynaecological ward of our hospitals and find out how many women seek post-abortal care. The problem is real. The shocking news paralysed me when my turn to have an operation came. The doctor told me my womb was rotten because of the concoction I drank and the only solution was to have it removed. I wept as I thought that I would never have another child again once my uterus removed. But I had no choice. I hear that the Law Commission has come up with abortion law review recommendations. My message is simple. Let the new liberal abortion law be enacted. It is incomplete to be talking about safe motherhood and maternal health without tackling unsafe abortion which is an elephant in the room in as far as issues of sexual and reproductive health are concerned. It is impossible to completely address maternal deaths in Malawi without addressing unsafe abortions challenge. Let’s walk in the footsteps of Mozambique, Zambia, and South Africa which changed their abortion laws so that women can enjoy comprehensive sexual and reproductive health. What is really wrong with us, Malawians that we can cling to archaic laws framed in 1800s? Mozambique which was at war for over two decades has managed to quickly change their abortion laws while we are still debating the issue. Why are we still clinging to laws which are only succeeding in sending women to their early graves? 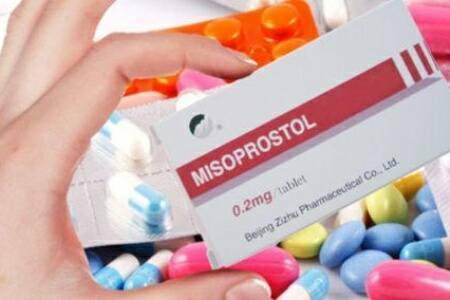 It is encoraging to hear that in countries, where abortion is legal women simply use tablets such as misoprostol or cytotec to terminate their unwanted pregnancies usually in the first trimester. This is unlike in countries like ours (Malawi) where weuse poisnous herbal concoctions, cassava sticks or bicycle spokes to induce abortions and injure ourselves in the process, just because of the restrictive abortion law we have. The earlier our lawmakers change the law, the better. Malawi’s maternal mortality ratio remains one of the highest in the world—574 maternal deaths per 100,000 live births in 2014—and maternal deaths present a major public health challenge for the country. The majority of induced abortion procedures in Malawi are performed under clandestine and unsafe conditions. Complications from abortions have been estimated to account for between 6% and 18% of maternal deaths in Malawi. Abortion is only legal in Malawi to save a woman’s life. Obtaining an abortion for any other reason is punishable by 7–14 years in prison. A national debate is currently under way on whether or not to liberalize Malawi’s abortion law by providing more exceptions under which an abortion could be legally obtained. In Malawi, an estimated 141,000 abortions were performed in 2015. This number translates to a rate of 38 abortions per 1,000 women aged 15–49. Within Malawi, abortion rates vary widely by region, from 29 per 1,000 women in the Central region to 61 in the Northern region. In Malawi in 2015, 39% of pregnancies ended in planned births, 30% in unplanned births, 16% in abortion and 15% in miscarriages. Out of the estimated 141,000 abortions performed in Malawi in 2015, approximately 60% resulted in complications that required medical treatment in a health facility. An estimated one-third of the women who experienced complications from an abortion did not receive the medical treatment they needed. The annual treatment rate for complications from abortion was estimated to be 14 per 1,000 women aged 15–49 in 2015. The majority of Malawi’s post-abortion care cases are treated at district hospitals (35%), health centers (22%) and clinics (20%). Treating complications of unsafe abortion represents a significant financial burden for the national health system in Malawi. A 2009 study estimated that a liberalized abortion law and access to safe abortion in public health facilities would yield a 20–30% decrease in post-abortion care costs for the health system. This article coordinated by the Centre for Solutions Journalism in Malawi was made possible through support from AmplifyChange. The views expressed herein do not necessarily represent those of AmplifyChange. Centre for Solutions Journalism in Malawi (CSJ), is a media development organisation whose mission is to promote professional solutions journalism by disseminating best practices and offering solutions to social, economic and developmental challenges facing people in Africa.